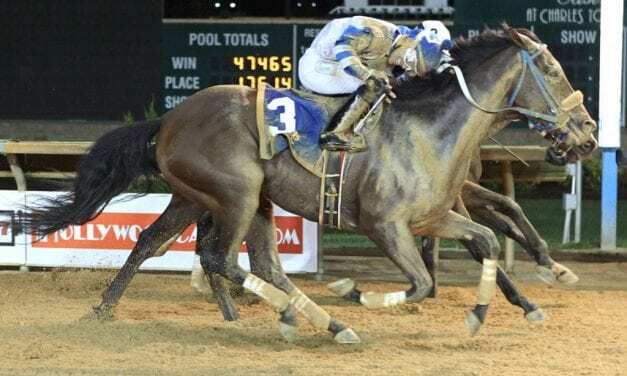 The Charles Town Jackpot Pick 6 has a mandatory payout Saturday, Charles Town Classic day, with a $180,000 carryover. 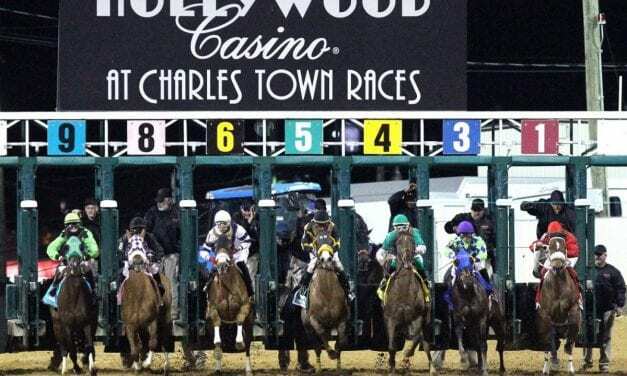 A $100,000 guaranteed Pick 4 and the mandatory payout of its Pick 6 — now with a $100k carryover — spice up the Charles Town Classic wagering menu. 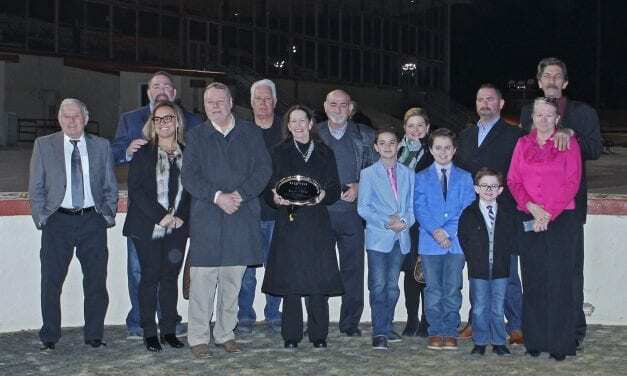 Fifty years later, Barbara Jo Rubin – “First girl jockey ever to win a race in the US,” according to the offical win photo – returned to Charles Town Friday to be honored for her historic win. 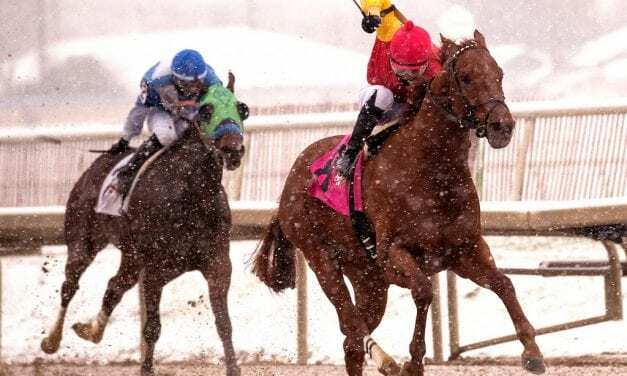 With nasty winter weather in the Mid-Atlantic, both Charles Town and Penn National canceled their Wednesday night cards. 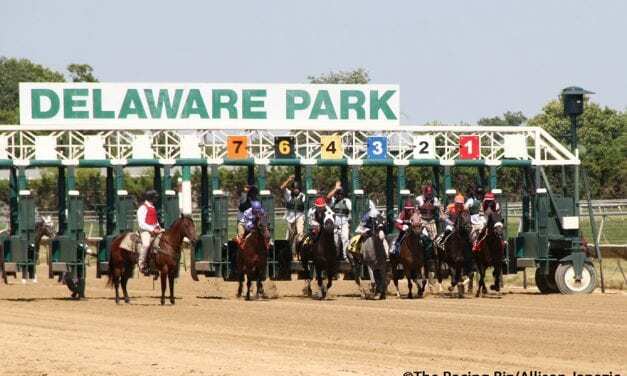 Predicted icy temperatures have led Laurel Park and Charles Town Races to cancel their Thursday cards. 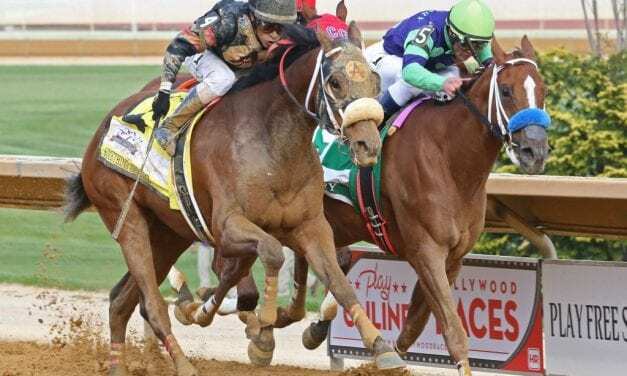 With nasty winter weather arriving in the Mid-Atlantic, Charles Town Races and Penn National both will miss some days this week. Barbara Jo Rubin, first American female jockey to win against men, will be feted Feb. 22 at Charles Town, where she earned her landmark win. Charles Town sports a carryover of more than $250,000 in its Pick 6, and it all gets paid out tonight! 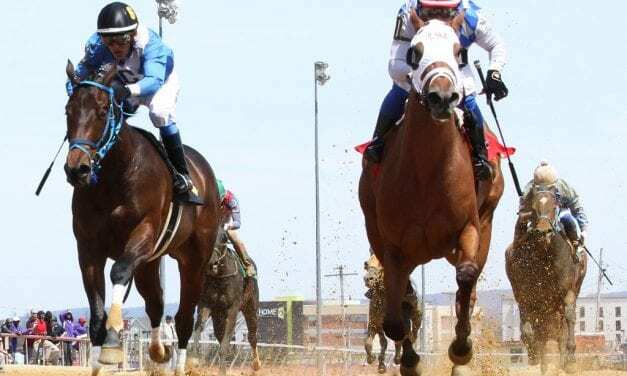 Charles Town-based Jockeys Christian Hiraldo and Guillermo Rodriguez were sentenced recently on cocaine possession charges. 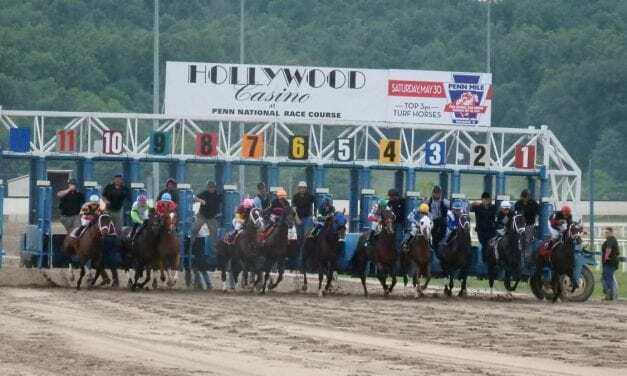 The West Virginia Racing Commission Thursday approved Charles Town’s 2019 stakes schedule — despite some of the same misgivings it had when it delayed approval last year. 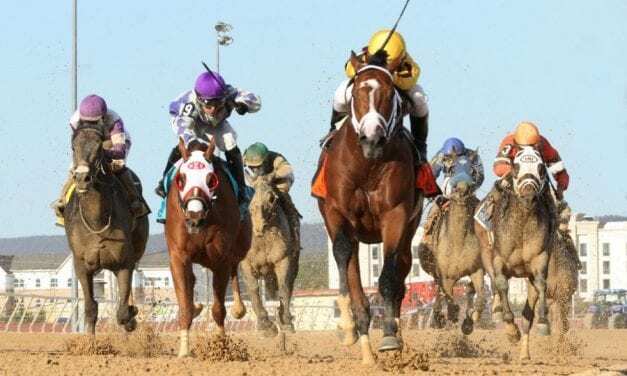 In 2019 Charles Town will race 60 days from January 9 through April 20 on a Wednesday-Saturday schedule, the track has announced.